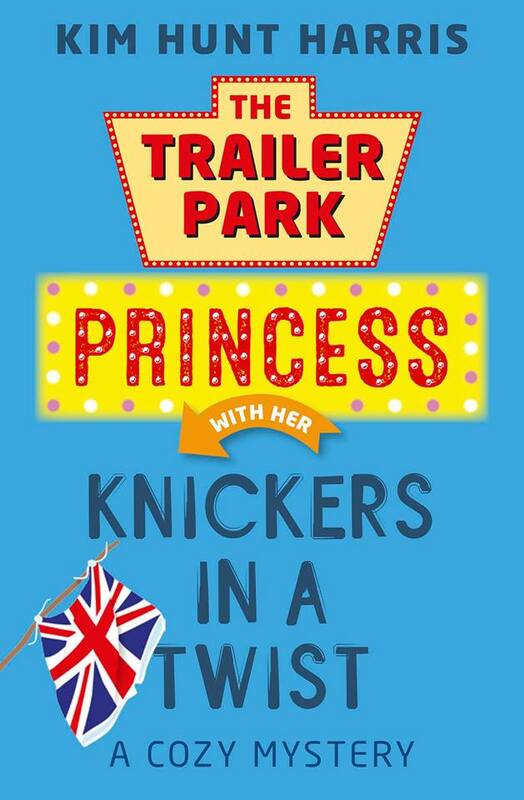 With The Trailer Park Princess with her Knickers in a Twist, Kim Hunt Harris offers readers a cozy mystery that is refreshingly unique and extremely-well crafted. Just as in the previous three books in the "Trailer Park Princess" series, Harris has constructed a plot that is complex enough to keep the reader's attention without being overly-complex and convoluted. Fast-paced without feeling rushed, the storyline quickly captures the reader's attention and keeps it until the very last page. In Knickers in a Twist, a prominent newsman has been murdered, and Salem Grimes, dog-groomer and recovering alcoholic, and her senior citizen sidekick Viv are back in action. At the same time, Salem adjusts to changes in her relationship with Tony, the man to whom she is "somewhat married", and Viv tries everything in her power to capture the attention of the newly-arrived and dashing Brit, Nigel. Harris has created in Salem a character that is realistic -- complex, imperfect, struggling at times to make sense of the world and her role in it. In Knickers in a Twist, she continues to mature as a Christian, and her struggles are ones readers will no doubt identify with. Other characters -- Tony and Tri-Patrice, in particular -- are equally realistic and believable. On the other hand, in this latest book Viv's antics become more outlandish, almost to the point of distraction. At the same time, glimpses of the real Viv emerge, and it is in those moments when she reveals her vulnerability that Viv is at her best and most realistic. Harris' deftness in incorporating issues of faith into the storyline sets her apart as a writer. Elements of faith and how it impacts peoples' lives are smoothly and naturally integrated into the story. Never is there a hint of preachiness or heavy-handedness. The dialogue is sometimes witty and others quite serious, but consistently fresh and believable. Additionally, the book is well-edited and free of grammatical and mechanical errors that are unfortunately so prevalent in contemporary fiction. In short, Knickers in a Twist is a delightful book, a welcome breath of fresh air in the world of cozy mysteries. I received an advance copy of this book in exchange for my honest review, which I have provided here.